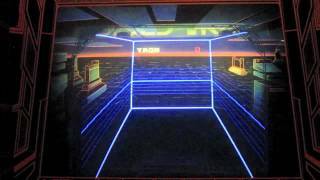 Introduction to the Discs of Tron arcade game in the environmental cabinet, released by Bally Midway in 1983. Includes a walkaround, a peek at the hardware, and gameplay. Todd Tuckey gives you the GRAND TOUR of the rare ENVIRONMENTAL CABINET version of Bally Midways 1983 DISCS OF TRON! Learn LOTS of neat stuff on this hard to find machine AND see Todd appear in both TRON and TRON LEGACY! This took over 15 hours to film and edit...but we all had lots of fun making this video...we hope you enjoy it too! Make sure you watch to the very end!